Blemishes will be gone in seconds with the Diana Total Cover Stick Foundation 501. This ultra-soft, creamy foundation hides imperfections to give you a silky matte finish. The long-lasting formula offers a good coverage and leaves you with flawless and radiant skin. Gives a silky matte finish. Explore the entire range of Foundation available on Nykaa. 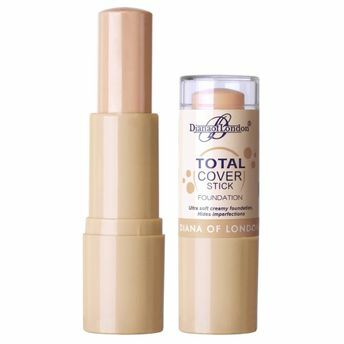 Shop more Diana Of London products here.You can browse through the complete world of Diana Of London Foundation .Alternatively, you can also find many more products from the Diana Of London Total Cover Stick Foundation range.